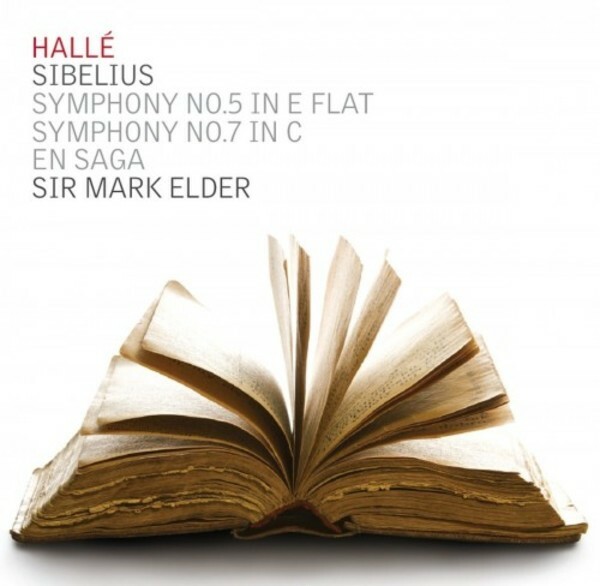 Mark Elder and the Hallé return to Sibelius with a stunning album of orchestral masterworks in exhilarating live performances. Following their recent chart-topping release of Vaughan Williams (Sea Symphony, CDHLL7542) Elder and his acclaimed forces present a volume featuring major works from one of the great symphonists and orchestrators. Sibelius’s Fifth Symphony is one of the orchestral masterpieces, fully displaying the composer’s skill, with evocative and dramatic writing which fully utilizes the orchestral palette. The Seventh Symphony was radical in its seamless one-movement structure. Written in the early 1920s, when Sibelius was tormented with uncertainty and depression, the work was his last in the form and is considered by many as being his finest symphonic achievement. Inspired by Finnish folk legends, against a history of Russian dominance, En saga is Sibelius’s first important score to reveal a distinctively Finnish character and was the work with which the national music of Finland became an artistic entity.